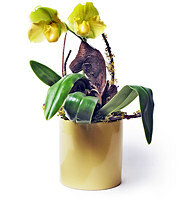 Water: In general, water about once a week. 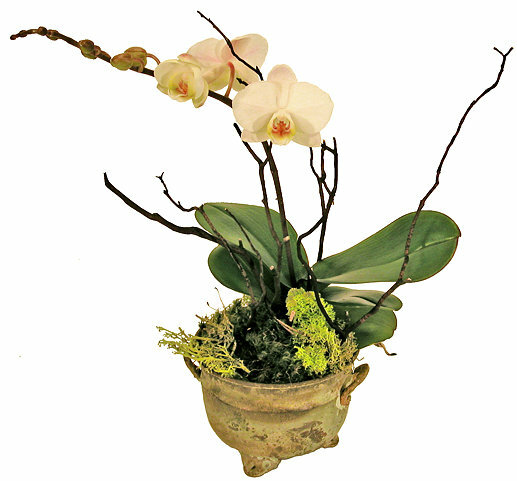 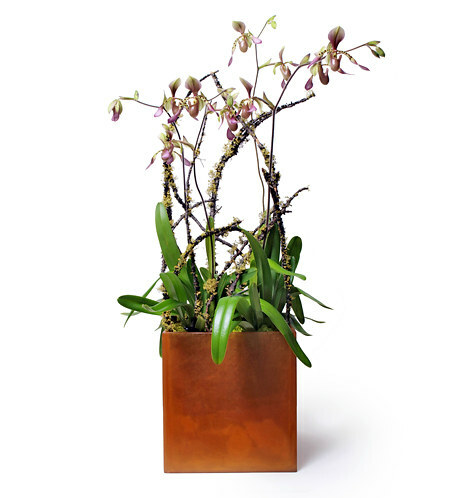 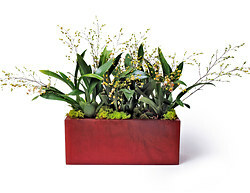 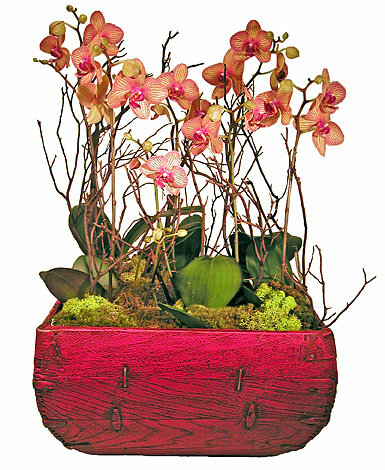 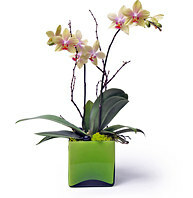 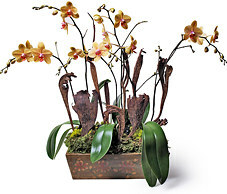 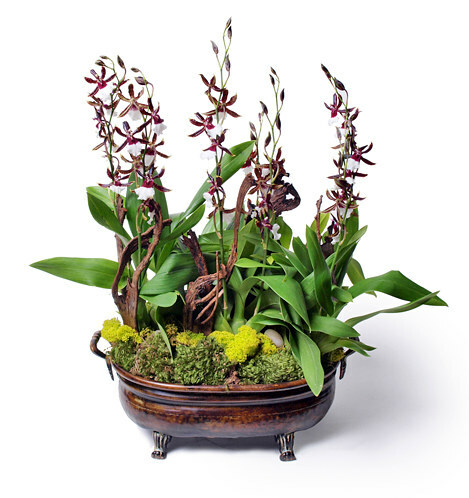 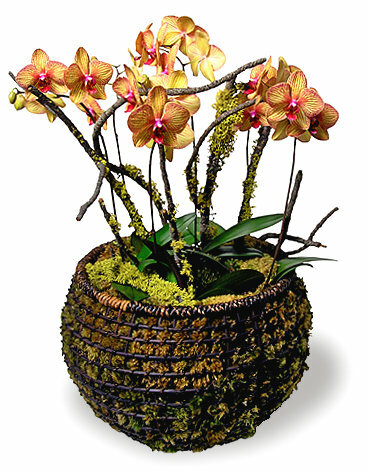 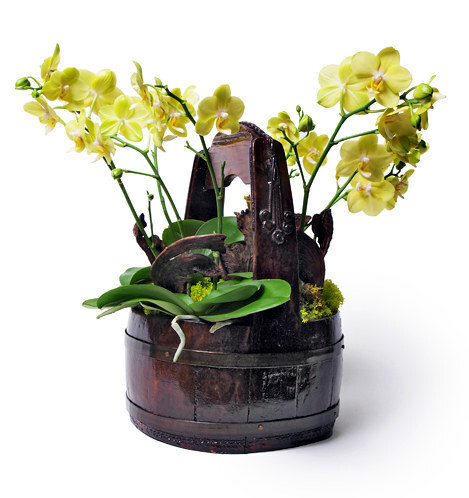 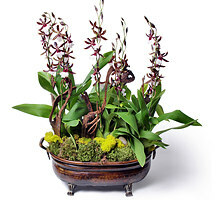 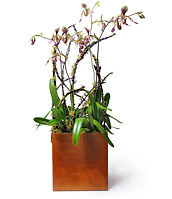 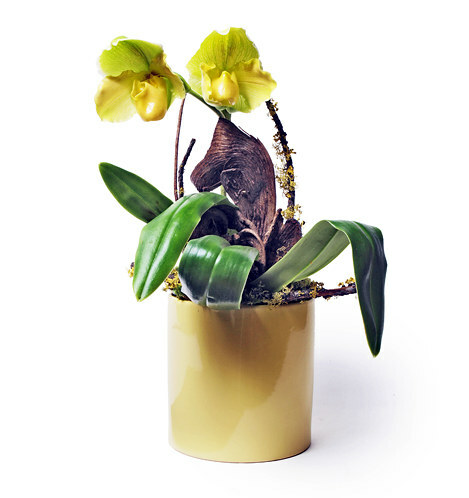 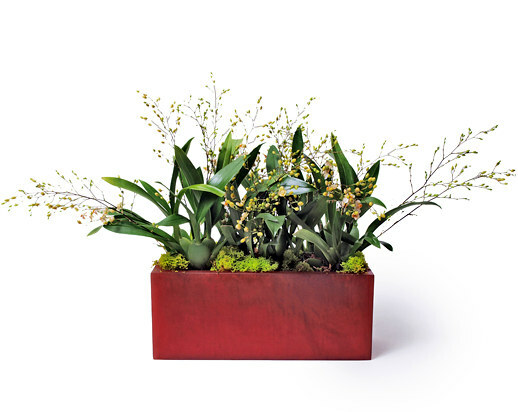 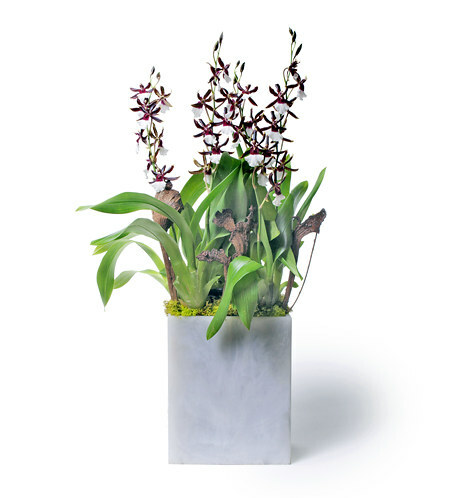 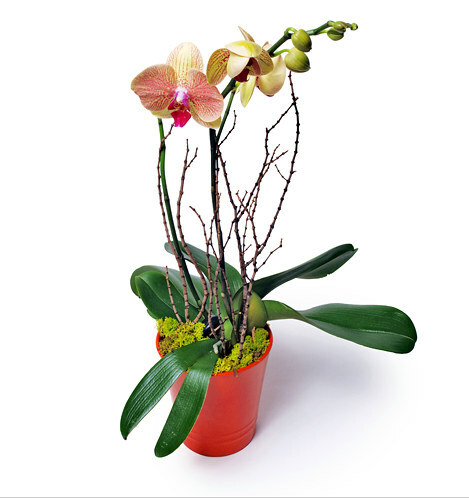 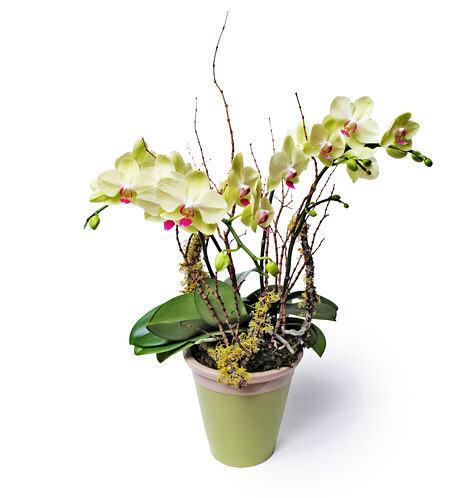 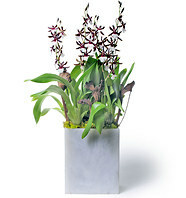 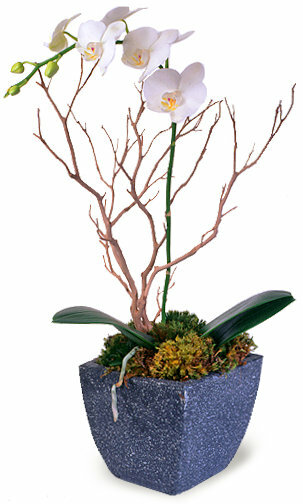 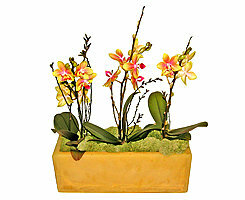 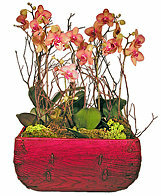 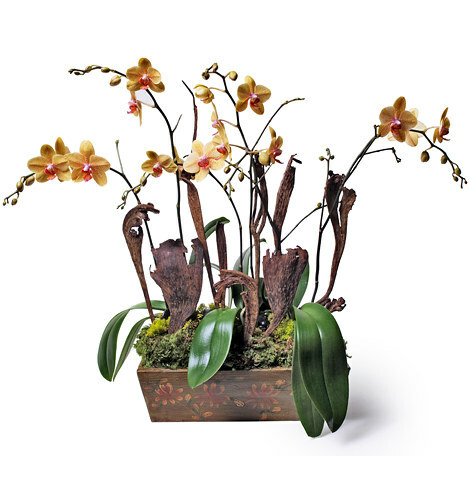 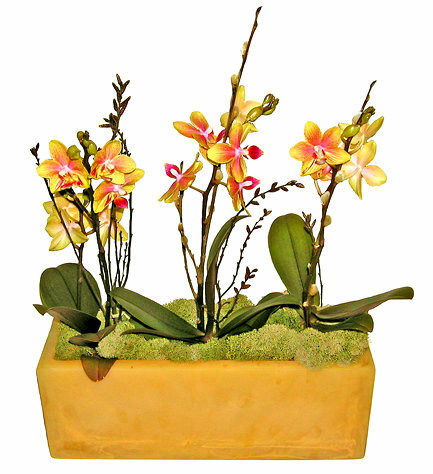 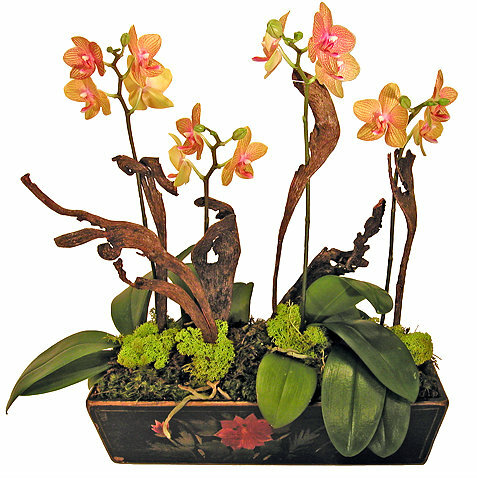 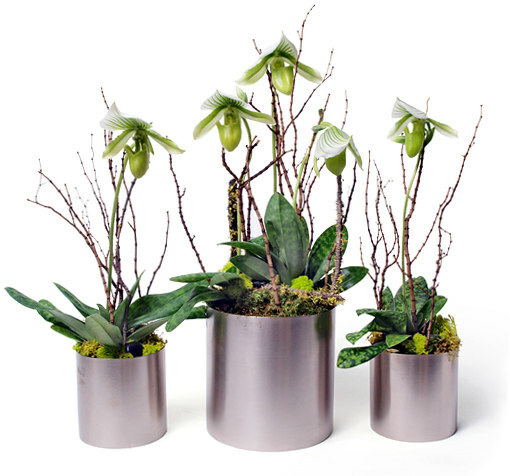 If your orchids are delivered in a decorative container, most likely it does not have dranage. Putting 2-3 medium size ice cubes once a week on top of the moss will do the trick. 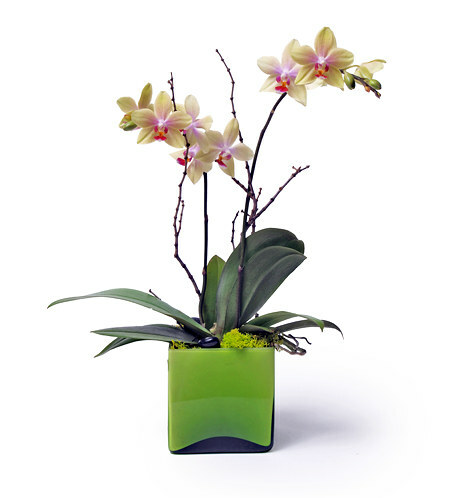 Light: Bright indirect sunlight. 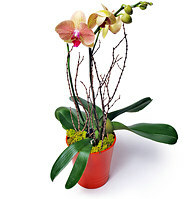 No direct sun. 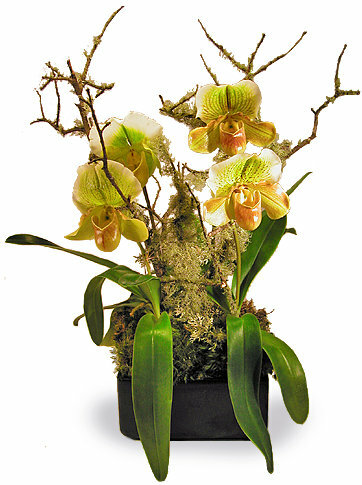 Indoor temperature: Most orchids adapt very well to an interior environment, growing best in a temperature range of 65º-75ºF. 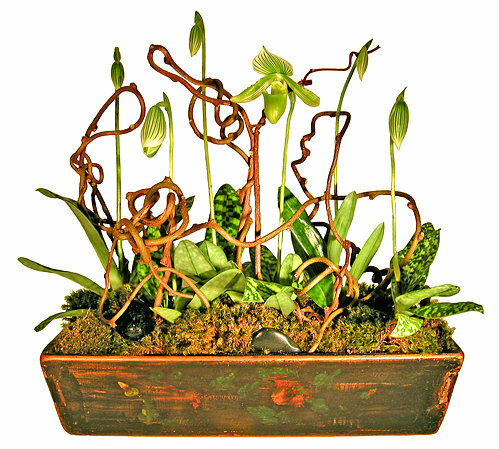 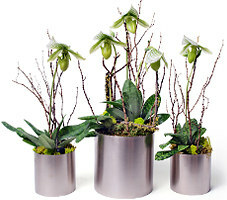 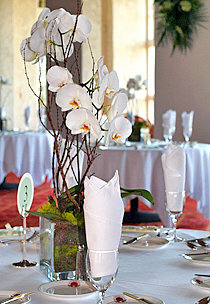 Orchids enjoy a relative humidity of 60-70 percent. 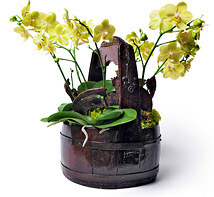 Never let the water to sit on the bottom of the container as this will cause the roots to rot and the plant to die. Fertilizer: Fertilize regularly with a well balanced general purpose fertilizer. 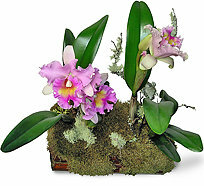 Follow rates according to the recommendations on the package. 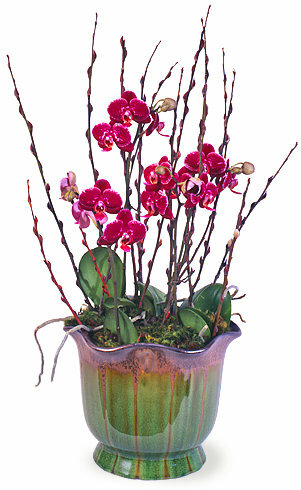 Mature plants can flower up to twice a year. 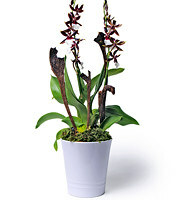 When the last remaining flower has fallen off, the flower spike may be cut just below the node where the first bloom appeared. 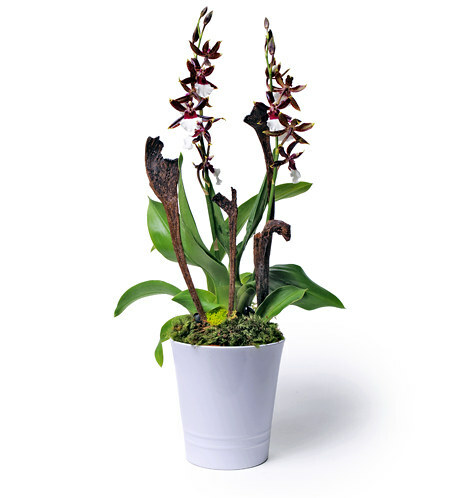 It is possible that a new flower spike will form within four weeks following this procedure, and within 90 to 120 days new blooms will open. 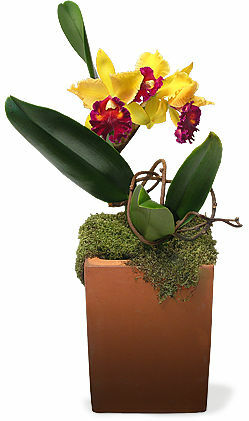 If this does not occur, the flower spike will enentually dry and can then be removed at the base. 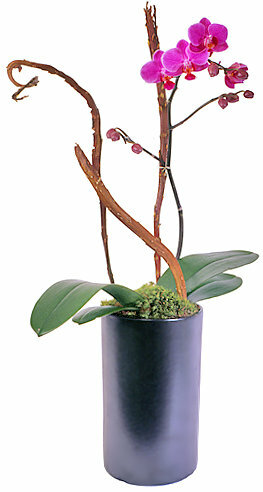 A new flower spike will then form within the next year at a new leaf axil.